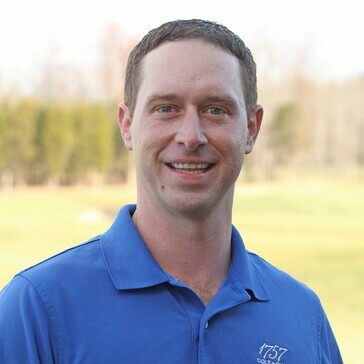 Born in Herndon, VA, Joe began his career at 1757 Golf Club in June of 2009 after graduating from the Golf Academy of America Myrtle Beach campus in May 2009. Upon graduating, Joe received an award for most improved player in his graduating class improving his handicap from 10 to 1.4 in 16 months. Most recently in his playing career he's made the cut in the Virginia State Open the last 2 years. Joe's playing has really blossomed over the past few years with multiple top 10 finishes in the MAPGA, culminating by qualifying for the upcoming 2019 PNC in April. He loves working with juniors and adults and is extremely happy to see students succeed. Joe is very excited about teaching at the 1757 Golf Club and is looking forward to sharing his expertise with you.